Drones have been getting a bad rap lately and for good reason. However in the state of Assam, these commonly used weapons of warfare are being used to monitor the rhinoceros (Rhinoceros unicornis) population. The Kaziranga National Park in Assam has deployed aerial drones to monitor poaching activity within the park’s boundaries to protect the endangered one-horned rhino population. The BBC Reported that the Kaziranga chief NK Vasu said the maiden drone flight earlier this week was a “milestone in wildlife protection”. Two-thirds of the world’s one-horned rhinos call this park a home and it also supports elephants, tigers, and other wildlife. However, rhinos have fallen victim to poaching and the tactic of using drones is a hope to prevent this from happening. The Chitwan National Park in Nepal has used drones by the WWF recently to great success as an anti-hunting measure. 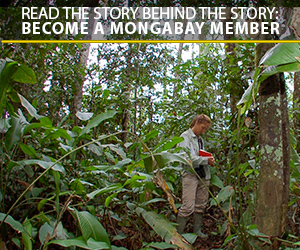 Therefore, a similar system is being replicated in Kaziranga. This is the first time that drones have been used to monitor wildlife in any Indian National Park and it will now be possible to keep an eye on the remotest parts of the 480 sq km (185 sq miles) park. 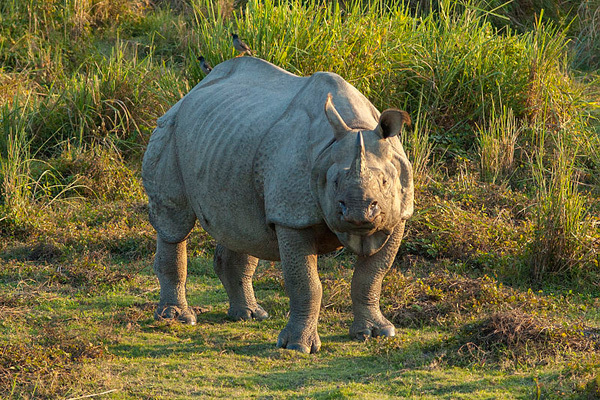 Wild Indian rhinoceros in Kaziranga National Park. Photo by Yathin S Krishnappa. According to park officials, the drones can fly a pre-programmed route at a maximum elevation of 200m (656ft) for up to 90 minutes. They are also light enough to be launched by hand and will be able to take images of the ground below with a still or video camera. Rhino horn is still in great demand in China and Southeast Asia where it is believed to have medicinal properties, including the ability to cure cancer. Along with the use of drones, the Central Bureau of Investigation, will begin investigations into the steep rise of poaching this year. In spite of this alarming trend, the Indian rhino population is healthy compared to its near extinction status in the early nineties. It is currently listed as “vulnerable” by the International Union for Conservation of Nature which is one notch up from “endangered”.